At this year’s Human Dimension Implementation Meeting (HDIM) in Warsaw representatives of the NGO coalitions against torture in Kazakhstan, Kyrgyzstan and Tajikistan, Helsinki Foundation for Human Rights (Poland) and International Partnership for Human Rights (Belgium) presented their analyzes of the situation regarding torture and ill-treatment in the three Central Asian countries to representatives of member states of the Organization for Security and Co-operation in Europe (OSCE) and civil society participants. 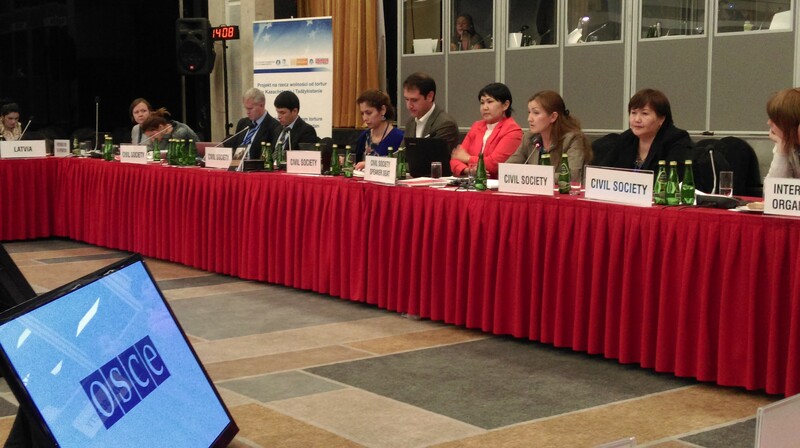 This newsletter reports on two side events that the NGOs conducted and their interventions at the HDIM’s plenary session. This is the fifth issue of the Freedom from torture newsletter that is published by the NGO coalitions against torture in Kazakhstan, Kyrgyzstan and Tajikistan, the Helsinki Foundation for Human Rights and International Partnership for Human Rights.